The Midwest Peterbilt Group is comprised of five full-service Peterbilt dealerships in Iowa and Nebraska. 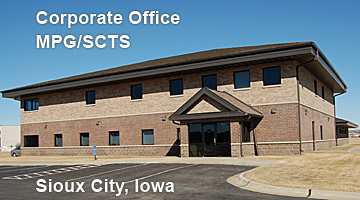 The dealerships are owned and operated by Sioux City Truck Sales, Inc. This company has been serving the transportation industry in the region since 1954, and is still family owned. Each location offers a full line of new Peterbilt Trucks along with used commercial vehicles, truck parts, service/repair and body shop services. Copyright © 2019 Sioux City Truck Sales, Inc.